Today is the last day of our Best Back to School giveaway! 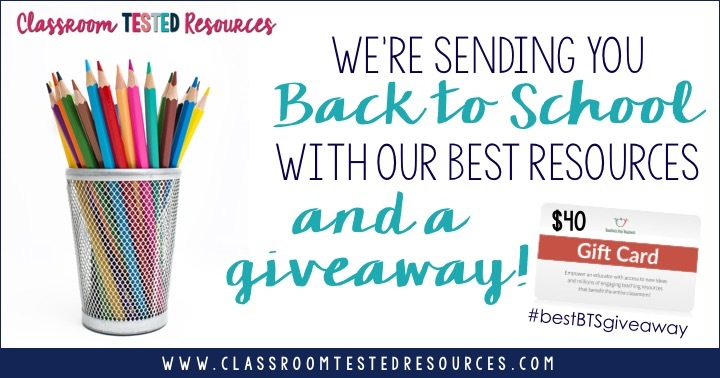 We're sharing a few more of our favorite classroom resources, and giving away one more $40 TPT gift card! Make sure you enter the giveaway at the end of this post. You can also visit yesterday's post for a chance to win one of the other gift cards! Vocabulary Roots is a full year vocabulary program based on morphology that teaches common prefixes, suffixes, and affixes. (Vocabulary Roots, Jr. is also available for 3rd & 4th grades.) Jennifer said, "This is an amazing resource! 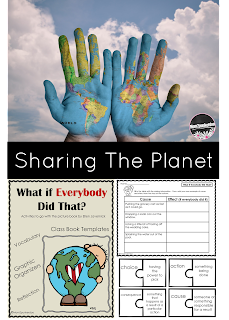 I used this resource for the entire 2015-2016 school year and had wonderful success! I will definitely continue Morphology in the classroom!" Miss 5th says, "I can't even handle all of the amazingness in this! [...] this is seriously perfect. It's clear to see that you spent A LOT of time on this product. It's thorough, organized, and age appropriate. I can't wait to use this next year!" I love using the jigsaw method with students, because it puts them in charge of their learning. The pack includes the jigsaw chunks, note taking pages, and an assessment for accountability. 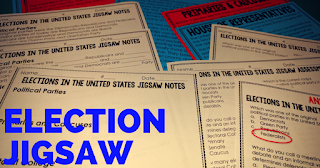 This Election pack covers election vocabulary without going into specific candidates. This book is perfect reminding students that their actions have impact. Learning by the Lake said, "This was great for our first few weeks of school. I love how many options are offered for the book, and the way in which the book can be applied through these activities." Judy said: "I love this product! I especially like using the bags as part of the book. So creative! 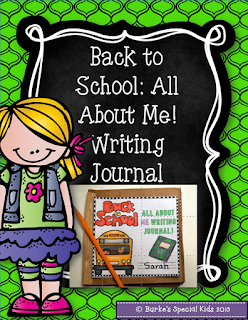 This will be the perfect way to get kids back into the school mode and do something fun and creative. Thanks for creating a great resource!" Do you want to make math fact fluency fun? Use these 5 adorable coloring sheets to practice addition and subtraction facts to 14. This is part of a much larger Color by the Code Collection. It is so important to not only get to know your students the first week of school, but to also have your students get to know YOU, their teacher. 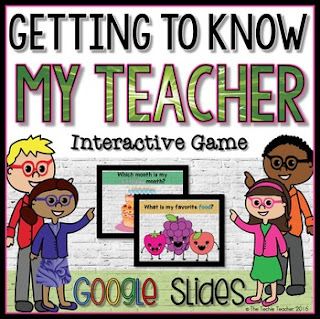 Kids LOVE knowing a little bit about their teacher and their life outside of the classroom :) Play this GAME which will also allow you to assess student handwriting and spelling without them even knowing it. Students struggle when they are presented with a story problem. 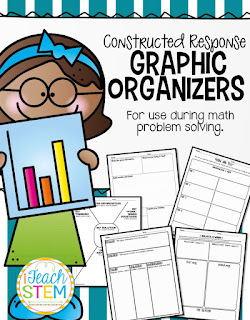 Whether it is a multi-step problem or a more straightforward situation, using one of these graphic organizers to record their thinking will help students be more successful. I have found these to be especially helpful with my Special Education students. Having a structured way to approach problems gives them a starting point and helps to build their confidence. This powerpoint is for the 1st day/week of school to use with your students as you teach your Back to School routines and procedures. It is completely editable with multiple color choices so you can customize it to meet your needs! Deborah said, "This is probably the most exciting thing I have purchased on this site. Thank you for making something so cute and thorough. Can't wait for the first day now!" 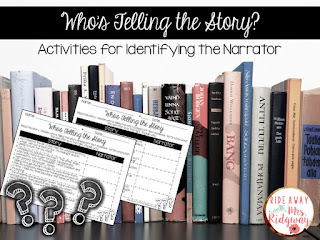 This is my ABSOLUTE favorite way to practice and/or assess whether students know how to identify the narrator in a passage. My favorite part is that it helps students learn how to pull evidence from their text to support their answers. Plus there's not much out there to supplement teaching this skill. Enter on the Rafflecopter below. You can get entries for following Classroom Tested Resources AND for finding clues on these featured products. On the giveaway form there are links to each resource on TPT. Scroll down to the end of the resource description and collect a clue word on each page. Put the words together, and you will get an extra entry with today's secret phrase! There's still time to enter yesterday's giveaway also! Just go to the blog post from yesterday. Thanks for joining us for 3 days of giveaways! Thank you for the fun "scavenger hunt" type way to enter the giveaway! So neat.